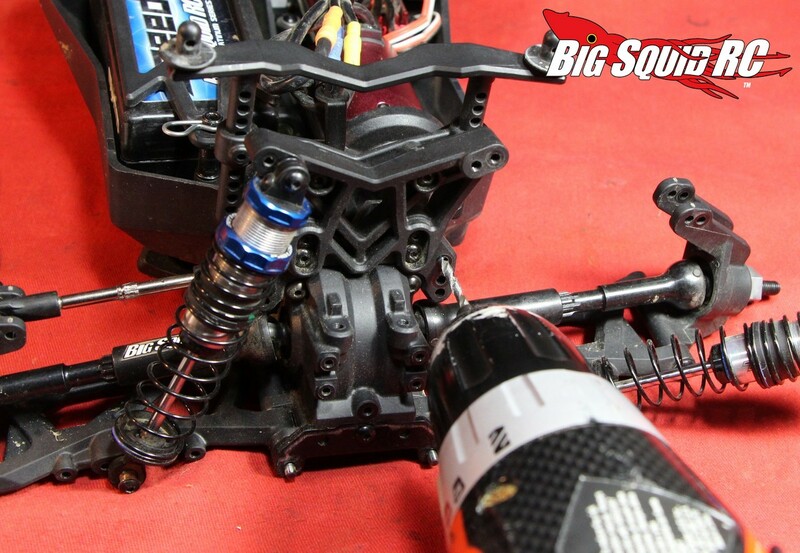 Vaterra Halix Hop-Up Series Part #5 – Upgrading the Turnbuckles « Big Squid RC – RC Car and Truck News, Reviews, Videos, and More! This week in our Vaterra Halix upgrade series we’ll be showing you how to install new turnbuckles. 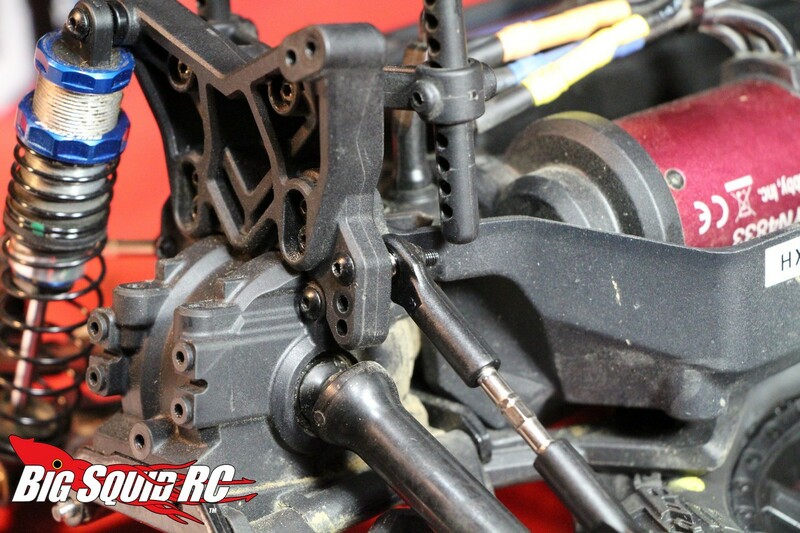 There are a couple of good reasons to do this, the first being that the stock units can break during hard bashing, the second is that the stock units are not adjustable. Being able to adjust tire camber and front toe-in comes in mighty handy for dialing in your Halix to your local bash spot. 1. Use the four way wrench that came with your truck to remove the wheels. 2. 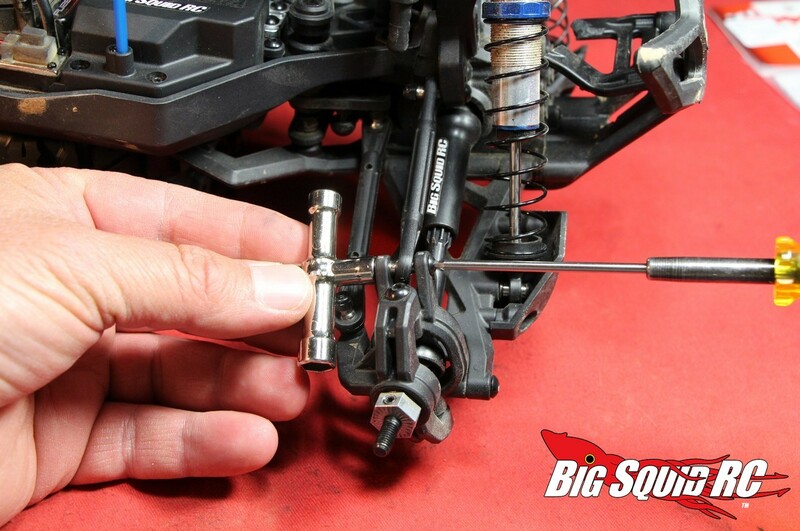 Use a 2mm hex for the bolt heads and use either the supplied four way wrench or needle nose pliers for the nuts to remove the stock turnbuckles. 3. 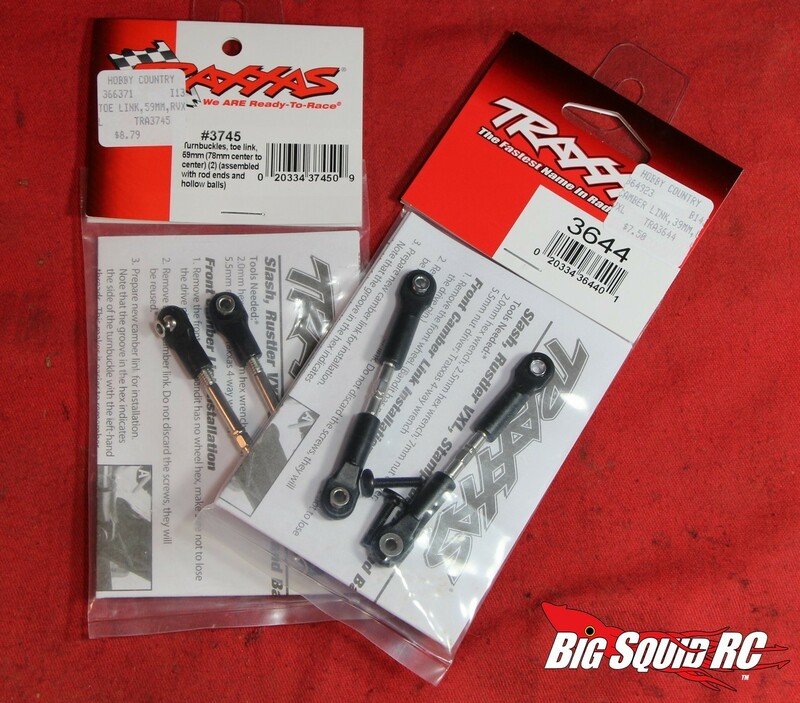 We used two pairs of Traxxas #3644 ($7 per pair) for the front and rear camber rods. 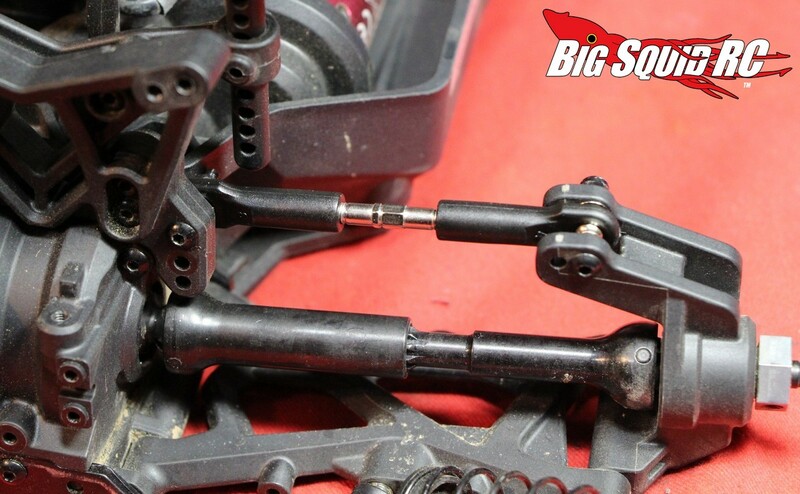 When you install these take note that one side has a wide ball in the rod end, while the other uses a narrow. On the Halix you will want to install the wide ball towards the hub, with the narrow mounted to the shock tower. 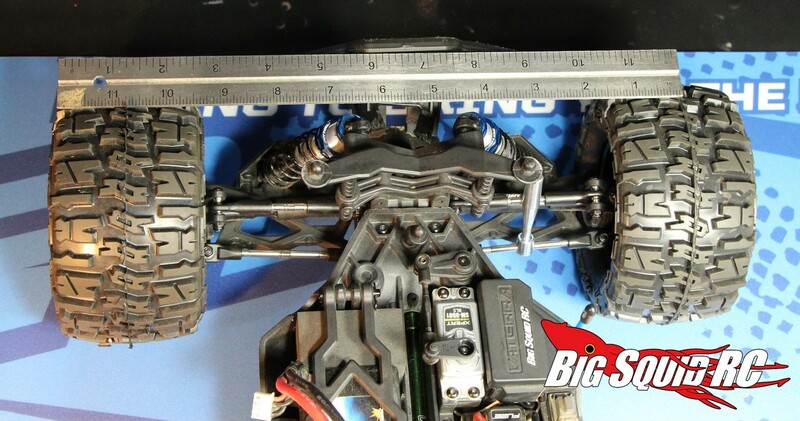 The Traxxas tie-rods are also directional, there is a groove in each tie-rod that donates direction. 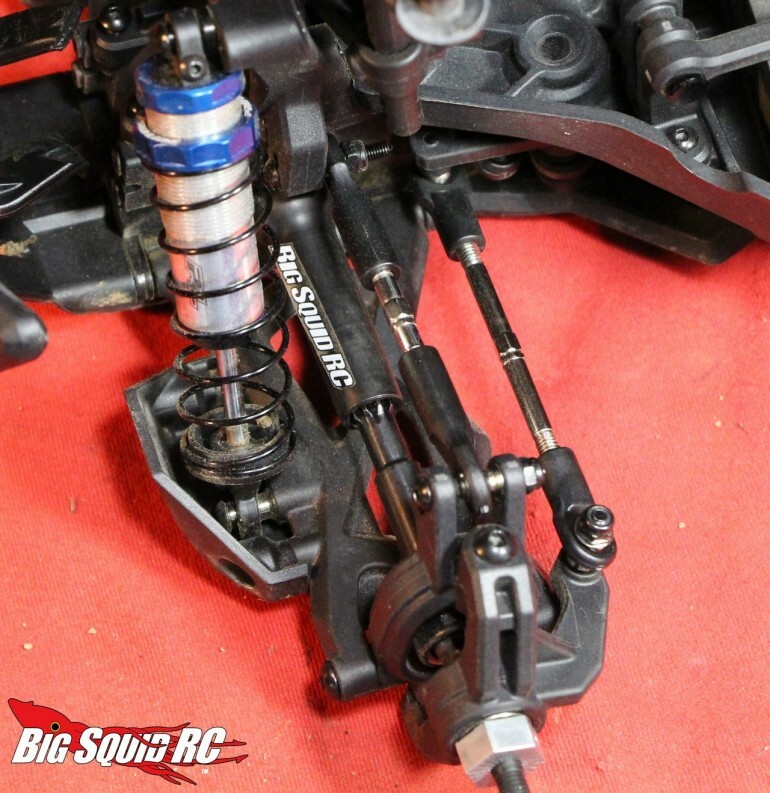 You will want the groove on all the tie-rods pointing the same direction. 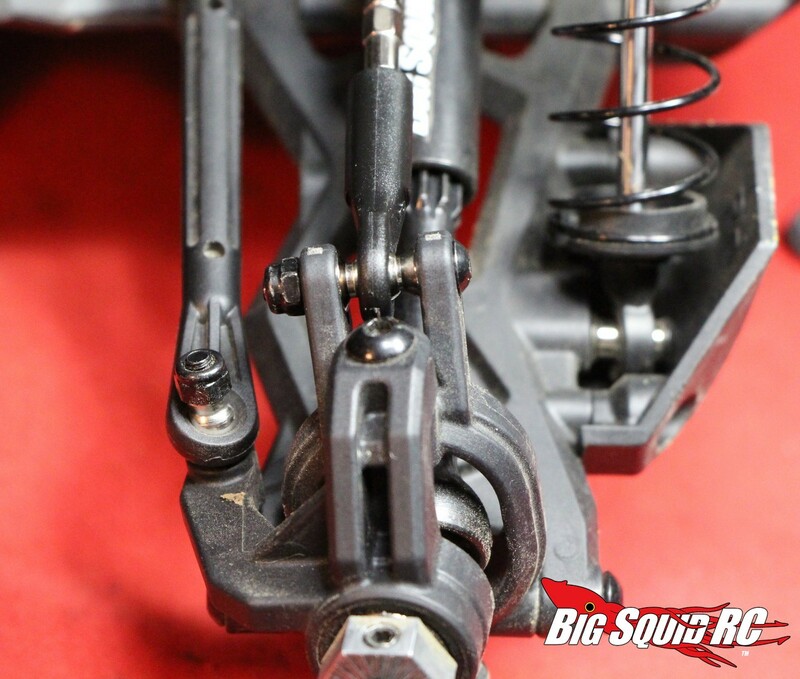 This is done so during adjustment the same rotation of the tie-rod will result in either tightening or loosening for all six units. 4. 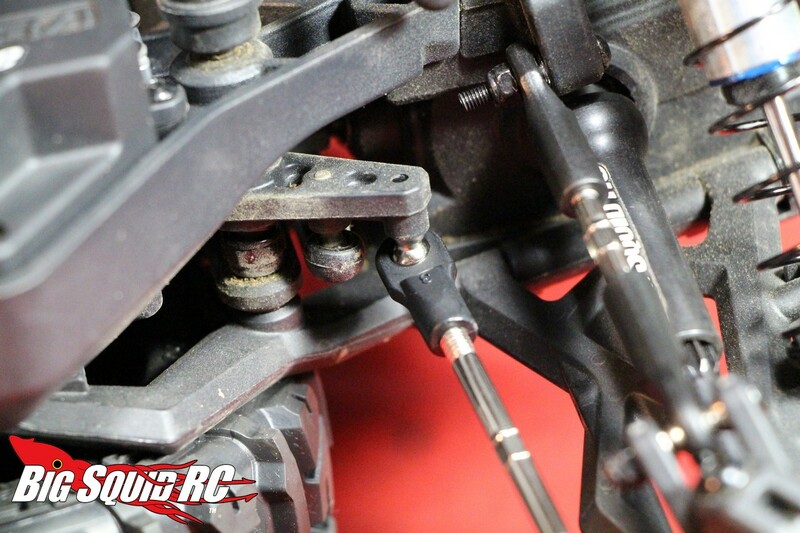 We used a pair of Traxxas #3745 ($8 per pair) for the steering turnbuckles, these are slightly longer than the 3644s and work well in the Halix. 5. We will also note that we drilled new camber holes in the rear tower of our Halix. 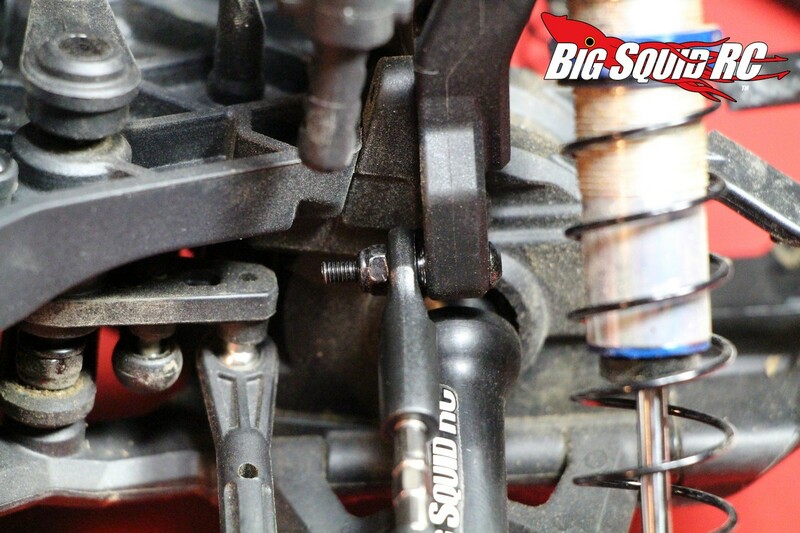 This was done to lower the roll center and change the camber gain on the rear of the truck. The higher mount gives the rear of our Halix a more planted feel in the low bite conditions we normally drive on. 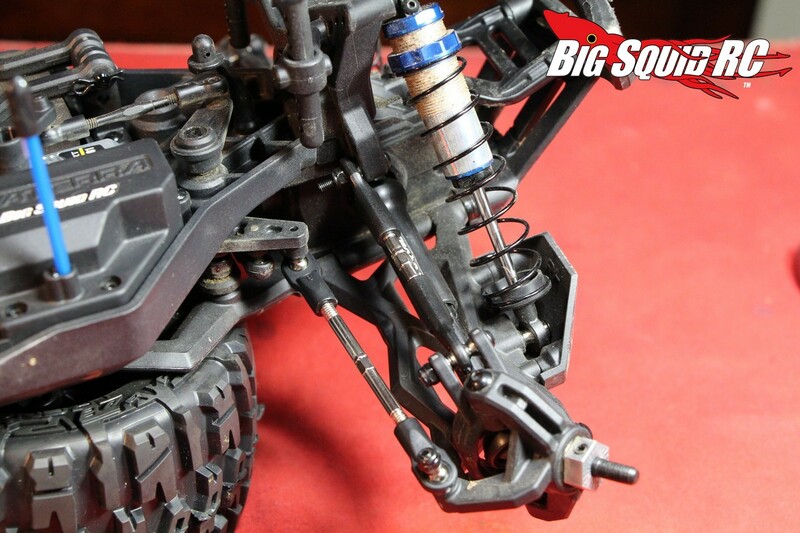 We used a 7/64 bit to make the new holes and removed the bumper and top of the rear shocks to gain easier access. 6. 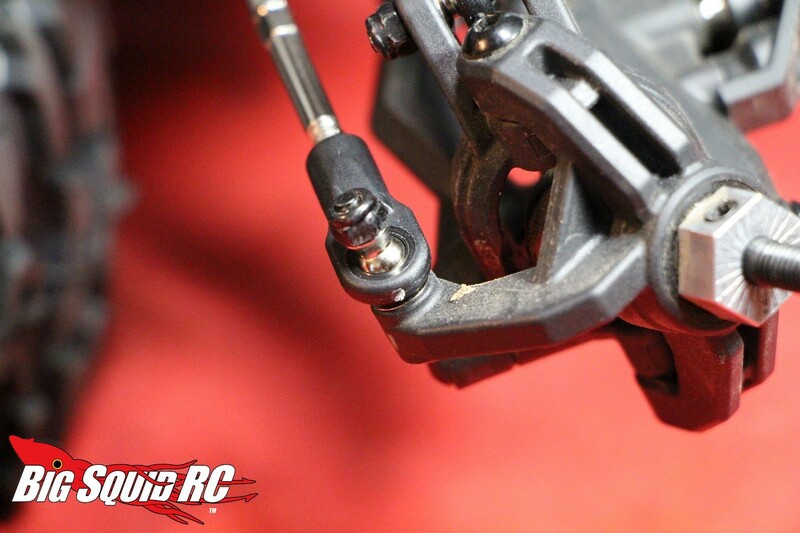 After all six tie rods and the wheels are mounted back up, you will need to adjust camber. You will need to set your Halix on a flat surface and use an RPM #70992 (or better yet their #70950, $12) camber gauge and a turnbuckle wrench. We used a slightly modified Lunsford wrench to set front and rear camber at negative 1 degrees. 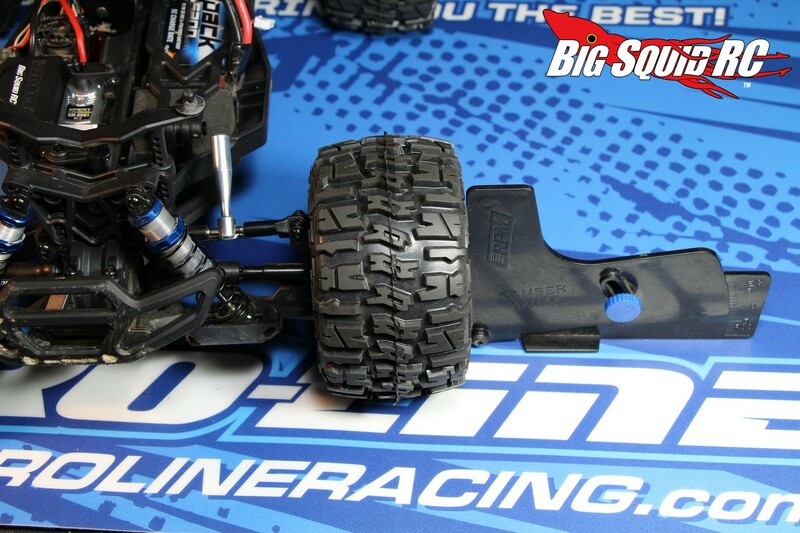 Also of note, set camber with a battery in the truck while it is sitting at its normal ride height. 7. One step left to go, adjust the front toe-in. We used our Lunsford turnbuckle wrench with a metal ruler to set toe-in to zero degrees. Zero degrees is a fairly common setting that works well on the Halix. Setting the toe-in is easy, we used the metal ruler to measure the distance between the centers of the tires from the front side, then from the rear, until they both measured the same. Many people just “eyeball” the toe, as long as both front tires are pointed straight forwards, not in towards each other or pointing outwards, you will be close to zero toe. 8. With the turnbuckles bolted up and the camber and toe-in set, your Halix is ready to drive. It took us about 30 minutes to do the job, we have yet to break one of the new turnbuckles, and the additional tuning flexibility has allowed us to really dial the truck in. Next week we’ll be installing a new servo, until then you can Click HERE to read more Halix hop-up articles on BigSquidRC.